Waking up early on a Sunday morning is a challenge but as what many would say “the early bird catches the worm”. Okay, I take it back. Maybe “worm” is not the best word to start a food-related blog post:P LOL. Anyway, my next #Selangorlicious post is focussing on this special place where you can literally have breakfast “like a king”, if you are willing to sacrifice your Sunday morning sleep. 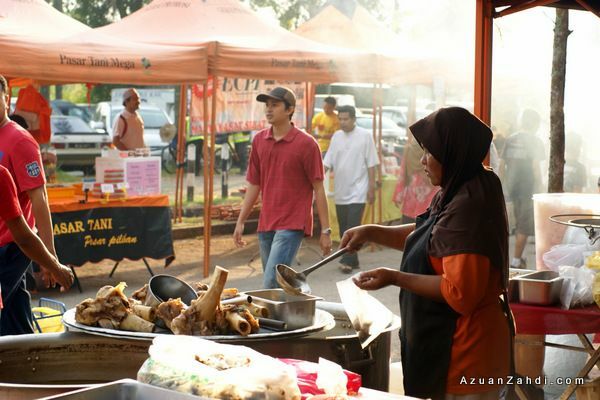 This is a place where you can find a variety of Malaysian food for breakfast. 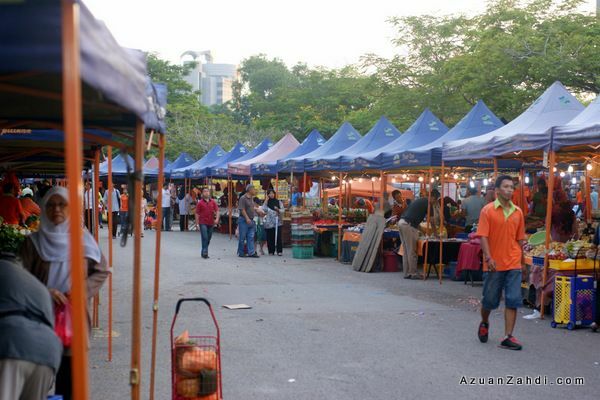 It is no other than the Pasar Tani Mega Stadium Shah Alam. The #Selangorlicious campaign is back for the second year and this time it’s more delicious with three parts of the campaign – Selangorlicious Foodster Blogging Competition, Selangorlicious EatOut and ‘Selangorlicious Good Food Guide’ & ‘Selangorlicious Ramadhan Promotion Guide’. Click here for more info. 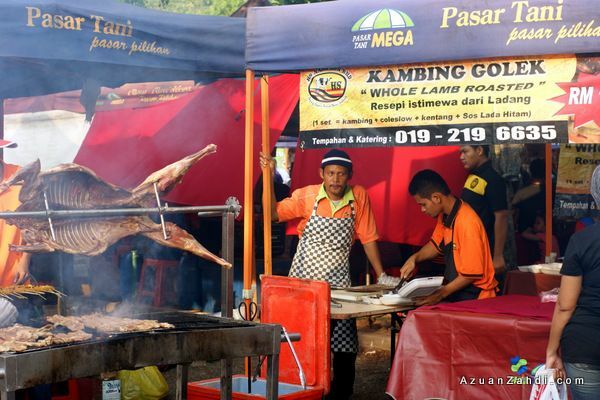 Dubbed as the first Pasar Tani Mega in Malaysia, it is no surprise that Pasar Tani Mega Stadium Shah Alam in Seksyen 13 receives thousands of visitors every Sunday. While it is open for business from 7am till noon (+-), I prefer to be there as early as 7am to avoid the large crowd that usually arrives after 8:30am. What makes this place special is its sheer variety of mouth-watering delicacies and the carnival-like ambience. The only problem that you might face here is actually deciding on which one to choose as there are just a variety of options! I was in the mood for some east-coast flavours so after checking out a few stalls, I ended up here, Gerai Kak Yah Nasi Kerabu. An award-winning stall with the most visitors at that time. My breakfast 🙂 Nasi Kerabu and and Laksam. The Nasi Kerabu turns out to be awesome. 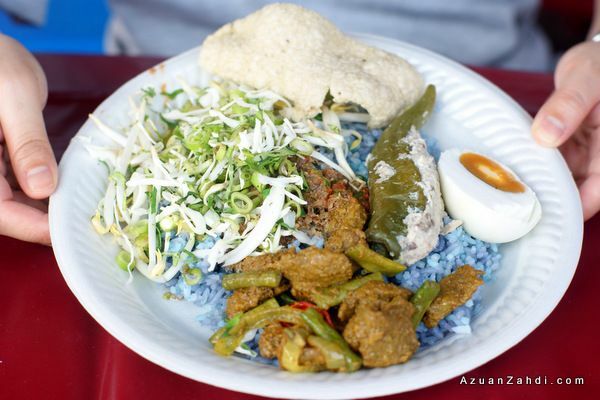 The awesomeness of blue-coloured rice, crunchy “kerabu” or raw vegetables, salted egg, sambal+budu, solok lada (stuffed chili) and a bit of beef. The flavours complement each other making it a heavy but a perfect meal to start a Sunday! 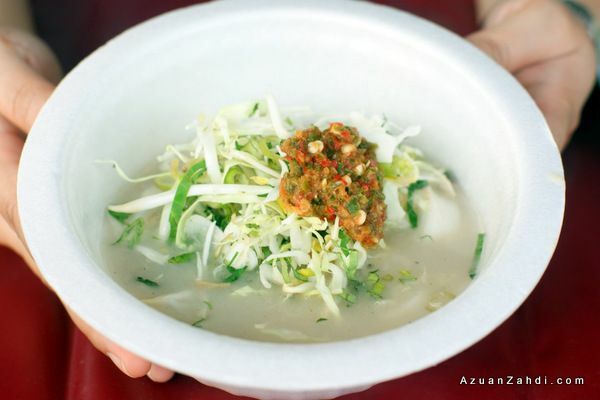 Laksam is OK as well but the gravy is a bit too light for my tastebud. 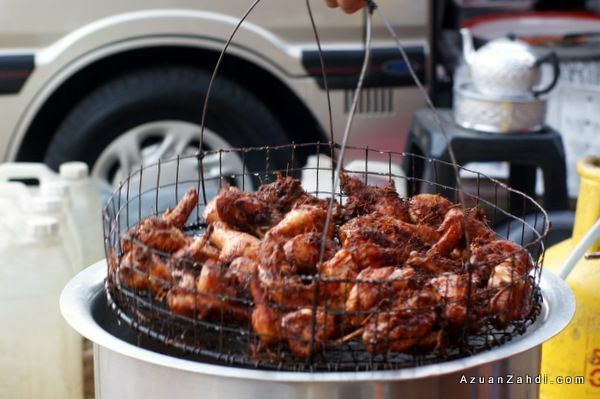 Gerai Kak Yah also has another specialty, the delicious fried chicken that goes well with Nasi Kerabu and Nasi Dagang. 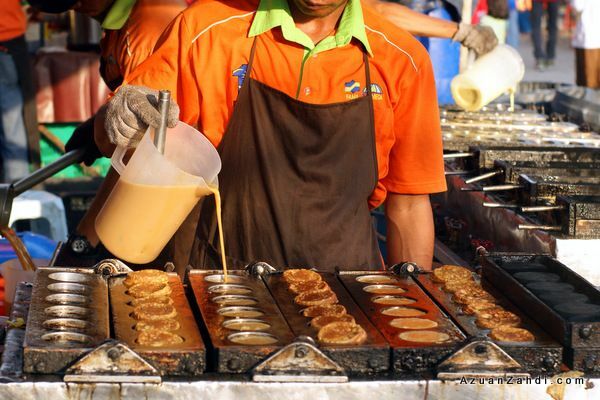 After enjoying the Nasi Kerabu and Laksam, I went around looking for something sweet and my favourite has always been this Akok, another famous food from Kelantan. Of course I would need to buy some food for lunch as well, since it was a Sunday and I prefer to be at home the rest of the day. 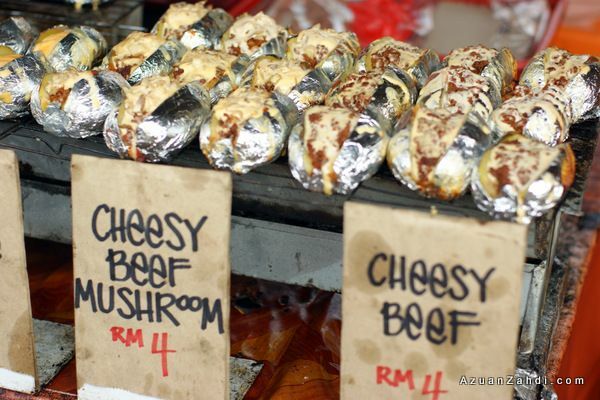 One of my favourites is this stall selling baked potatoes. And Pak Lang Char Kuey Teow Penang. 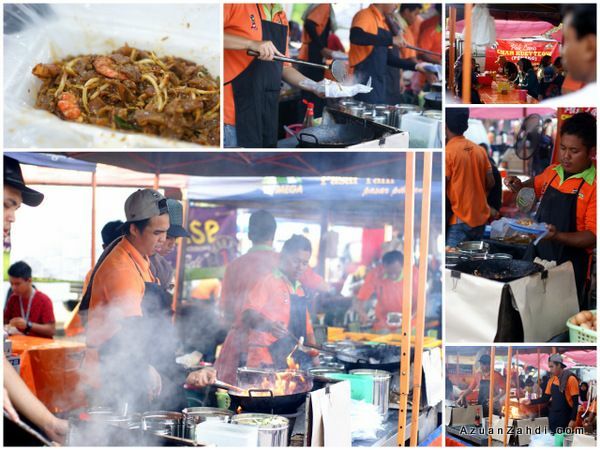 This Char Kuey Teow is so famous that it has 5 staff preparing the food on-the-spot at the same time to meet up with the long order list. Come early to avoid having to queue. 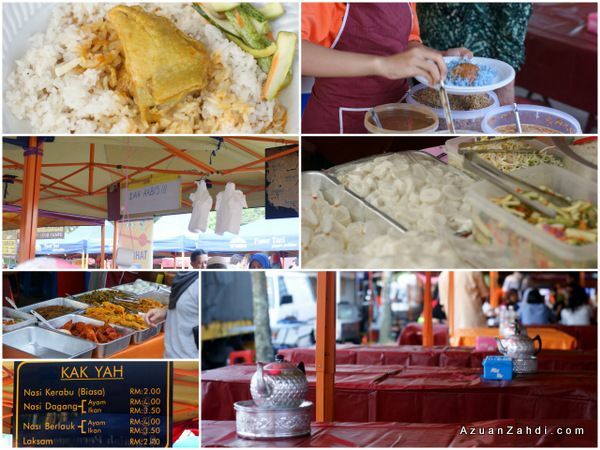 The next time you have problem deciding what to eat on a Sunday morning, bring your family and friends to Pasar Tani Mega Stadium Shah Alam and enjoy the variety of food! Wow, you’re on a roll to win this ah bro 🙂 Gotta catch up with you, good competition :p By the way, the kambing golek is something new to my, really tempting me to check out this pasar this weekend. No worries bro. I always go out to find makan place so I just took along my camera and snap photos. Fun! Nice write up as always ! can’t wait to see yours bro! Shawn: try and you won’t regret the experience! Dania: I purposely share this clsoer to bulan puasa… a preview! will do a coverage on Pasar Ramadhan around Selangor once Ramadhan starts 🙂 insyaAllah.